Ninjas have long been a subject of obsession for pop culture and gaming alike. The mythical mercenary warriors may have first lived in 15th century feudal Japan, but they have found a second life in modern day pop culture and gaming. With that in mind, let’s take a look at the Sega games that made a whole generation dream of using martial arts and throwing stars to fight the forces of evil. 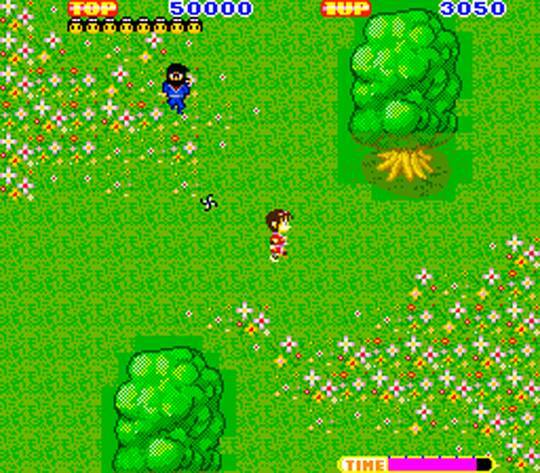 Originally released under the title “Ninja Princess” in Japan and later retitled and gender swapped as Sega Ninja / The Ninja for its English version, this 1985 Sega title was released in arcades and Sega Master System as part of a martial art trilogy, along with Black Belt and Kung Fu Kid. However, out of the three games it was Sega Ninja that would become the standout title thanks to its amazing run and gun style that allowed players to shoot out an unlimited amount of throwing knives and ninja stars Contra-style at your enemies, which consisted of samurai warriors, other ninjas and, for some reason, dogs. Telling the story of the peaceful land of Ohkami, The Ninja begins when Gyokuro sends his ninjas to torment the people in the countryside, and kidnap the princess in the basement of his castle. Playing as Kazamaru, it is your job to take on Gyokuro and his army in order to restore the peace. Armed with the power of invisibility and his endless supply of throwing weapons, Kazamaru faces an uphill battles but nothing that skilled and persevering players cannot handle. 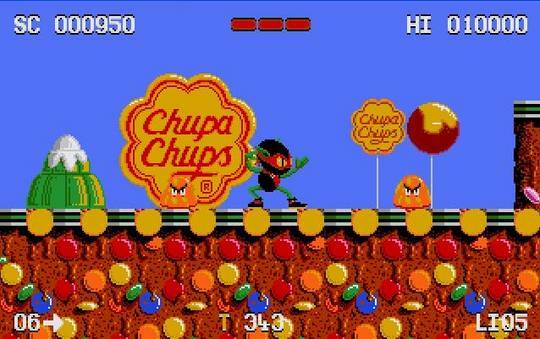 The game follows the story of Zool, a Ninja gremlin from a different dimension that is sent to earth to earn his stripes. To do so, he must travel through seven different lands beating enemies and bosses throughout, while also engaging in minigame adventures that include a space shooter and other arcade style games. The game’s colorful graphics, fantastic soundtrack, and fast paced gameplay made it a big hit among players and critics alike, though it’s difficulty was also notoriously high. 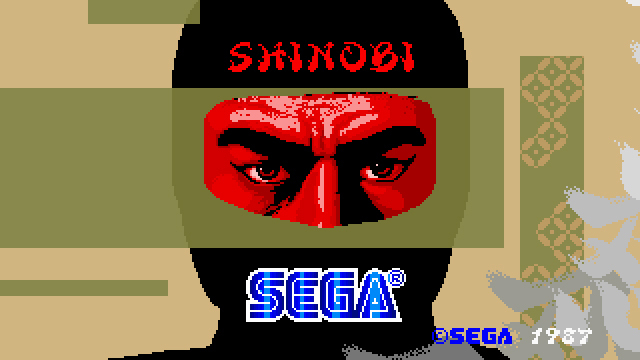 It would be absolutely impossible to speak about the best Sega ninja games – or any type of ninja game for that matter – without mentioning the iconic Shinobi series. 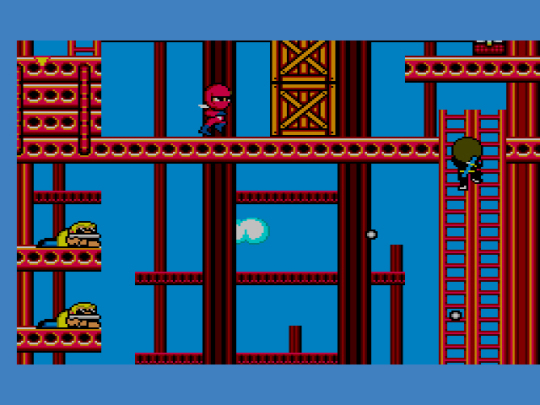 Any players that found Sega Ninja and Zool to be difficult games are sure in for the challenge of their lives playing the Shinobi series, as they are known to be some of the most difficult games ever made. The franchise is so popular it is even set to get its own movie. The longest running franchise in the genre, the Shinobi series follows the quests of badass ninja master Joe Musashi as he battles the evil Neo Zeed clan who keeps kidnapping children. Using his mastery in Ninjitsu and ninja weapons training, as well as a few special abilities that will come in immensely handy, Joe must face off against demons, Samurais, Buddhas (?) and a heavily armed army of cyborgs all by himself. A ferocious side scroller with unrelenting pace, notoriously difficult enemies and plenty of rad ninja action to go around, the Shinobi series will keep you hooked for hours on end and leave you in a puddle of sweat by the time you put down your controller. 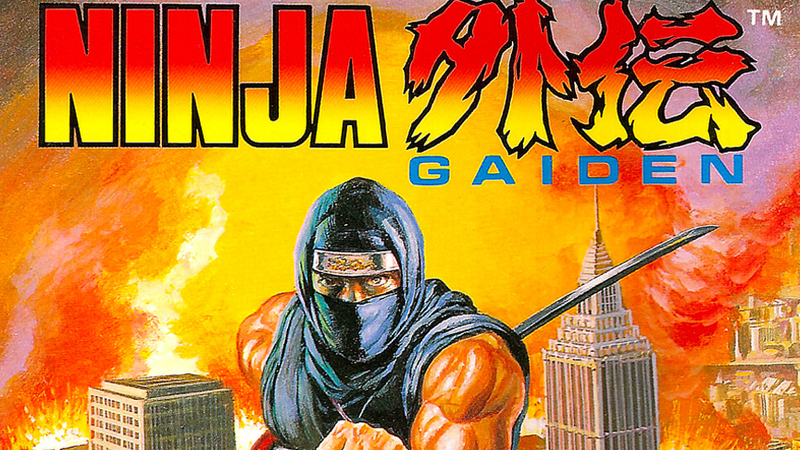 Shinobi was not the only hugely successful franchise to put ninjas in the forefront, with the amazing hack & slash platformer series Ninja Gaiden giving it a run for its money. Originally known in Japan as Ninja Ryukenden (meaning “Legend of the Ninja Dragon Sword”), Gaiden became a breakout hit thanks to its incredibly tight action and its introduction of cinematic cutscenes – one of the first console titles to ever use this storytelling device. Ninja Gaiden follows the Ryu Hayabusa, one of the most iconic ninjas that modern entertainment has ever seen. A master of ninja arts and magic, Ryan uses his skills – such as wall climbing, shuriken throwing, duplicating himself and summoning fireballs – to fight his way through wave after wave of monsters and evil ninjas. A franchise that spans over 20 years, the first game in the series was released for NES in Japan in 1988, and later for the Sega Master System in 1992 featuring enhanced mechanics and storylines. Ninja Gaiden has since released games on SNES, Game Gear, Game Boy, and in recent times Xbox 360, Playstation 3 and Nintendo DS. Ryu Hayabusa has also become the main character in Team Ninja’s Dead or Alive fighting game series, proving his enduring popularity. A crossover of two of Sega’s most popular franchises, Alex Kidd in Shinobi World brings Sega flagship character Alex Kidd to battle the forces of evil in planet Shinobi. Originally this game was not supposed to feature Alex Kidd, instead conceived to be a ‘cute’ parody of Shinobi in a similar way in which Kid Dracula parodied Castlevania. However, during development it was decided to make Alex Kidd the protagonist of the game, trying to capitalize on the huge popularity of the Alex Kidd series. The decision turned out to be the right choice, as the game found critical and commercial success, and was even hailed by many as the best game in the Alex Kidd series. Shinobi World follows Kidd’s adventures as he attempts to rescue his girlfriend from Hanzo the Dark Ninja, an evil being who plans to sacrifice her in order to take over the world. After fusing his spirit with that of an ancient ninja warrior – endowing him with extraordinary ninja skills in the process – Alex goes off to fight villains and bosses that parody those of the Shinobi universe, using a sword, throwing darts and a magic ball that can turn him into an attacking tornado. While the game may be more lighthearted than the Shinobi series, it’s difficulty level is not too far off, getting progressively harder as you go along making it a hugely entertaining and challenging title. All in all, fans of ninjas these days have no problems getting their fair share of ninja themed goods, ranging from ninja movies to comic books, ninja toy collections, as well as a ninja casino. Likewise, ninja video games have become an immensely popular market, in no small way thanks to Sega’s fantastic output since the mid-80s, which practically put ninja games on the map by releasing some of the most influential and popular ninja titles of all time.